As part of the "economic partnership agreement," Mongolia assured resource-scarce Japan of stable access to supplies of coal and rare earths. TOKYO — Japan and Mongolia signed a free trade agreement Tuesday that is expected to open the landlocked frontier market to more Japanese auto exports and strengthen Tokyo’s leverage with a key partner in its dealings with North Korea. Prime Minister Shinzo Abe and his Mongolian counterpart Chimed Saikhanbileg signed the agreement at a summit in Tokyo. As part of the "economic partnership agreement," Mongolia assured resource-scarce Japan of stable access to supplies of coal and rare earths. 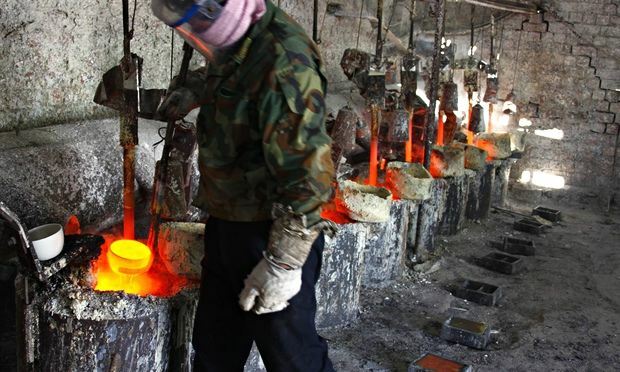 Japan has looked to Mongolia, India and other countries to help reduce its reliance on China for rare earths — minerals used in high-tech products and automobiles. Japan reportedly also was due to offer concessional loans for building a new airport in Ulan Bator, the Mongolian capital, one of Tokyo’s many official development assistance projects in the country. The two countries began free trade talks in 2012 and reached a basic accord last July. Mongolia’s imports from Japan, mostly vehicles, are roughly 16 times the size of its exports to Japan. The agreement signed Tuesday calls for Japan to scale back tariffs on its imports of Mongolian products such as cashmere. Mongolia holds strategic importance for Japan as a conduit for Japan’s talks with North Korea on abductions of Japanese decades ago. Japan lacks formal relations with North Korea and the two sides have held talks on the kidnapping issue in Mongolia.